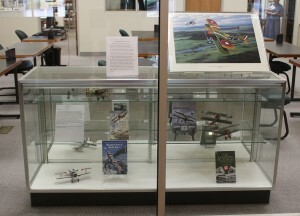 Teaser exhibit of WWI materials at the Archives and Special Collections Center, case 2. On 28 June, 1914, Archduke Franz Ferdinand of Austria-Hungary, and his wife, Duchess Sophia, were assassinated by a Bosnian Serb, setting in motion the events that would erupt into what became known as the Great War, the War to End all Wars, World War I. As we know, it did not end all war, but as commemorations take place over the next year to remember the 100th anniversary, we will be adding our commemoration by means of an exhibit in the Msgr. William Noé Field Archives and Special Collections Center, ground floor, Walsh Library. Teaser exhibit of WWI materials at the Archives and Special Collections Center, case 1. 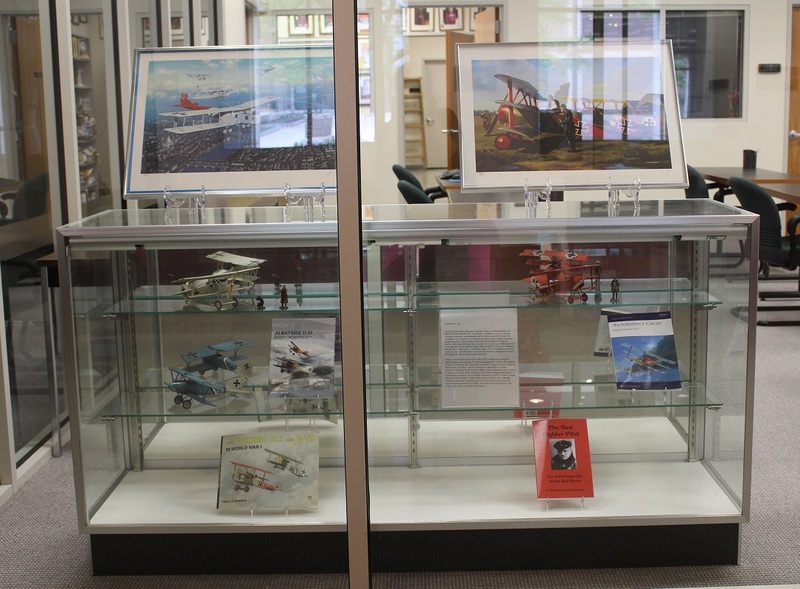 We begin with items that refer to two famous pilots – the Red Baron, Manfred von Richthofen (2 May 1892 – 21 April 1918), and The American Ace of Aces, Eddie Rickenbacker, (October 8, 1890 – July 27, 1973). 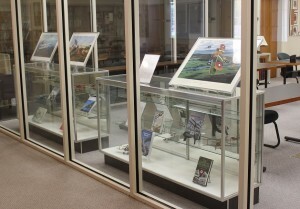 Teaser exhibit of WWI materials at the Archives and Special Collections Center. Then in August, we will present three installments over nine months combining models, dioramas, figures and prints with archival material to commemorate the inception of the Great War. The first installment, running from 1 August through 31 October, 2014, includes figures of the assassinations of the Archduke and his wife, a British trench and armored car, maps of Europe at the beginning of the War and of the Schleiffen Plan, illustrations of French and German uniforms, and figures representing the Galipoli Campaign which began 15 April 1915. 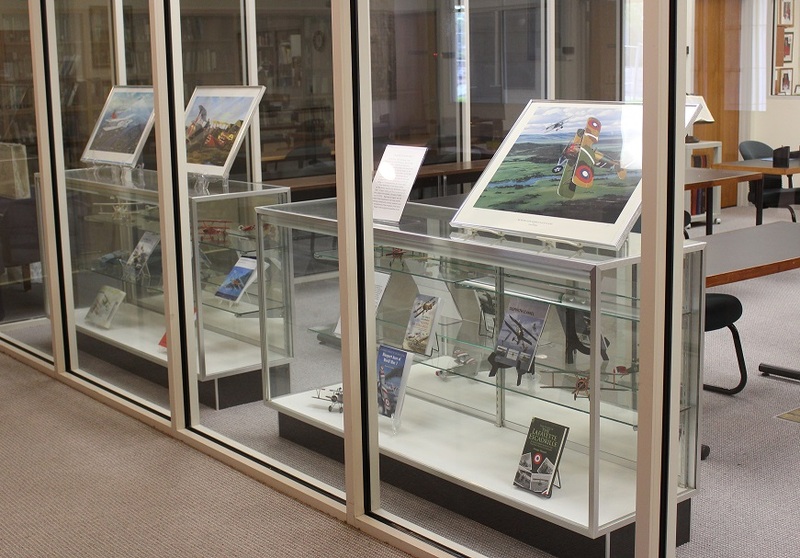 Poems by writers including Clinton Scollard, Katharine Tynan, Rupert Brooke, Josephine Burr, G. K. Chesterton, John Drinkwater, Violet Gillespie, Corporal Malcolm C. Murray and Joyce Kilmer, along with plates from rare volumes of the time, will amplify these exhibits. 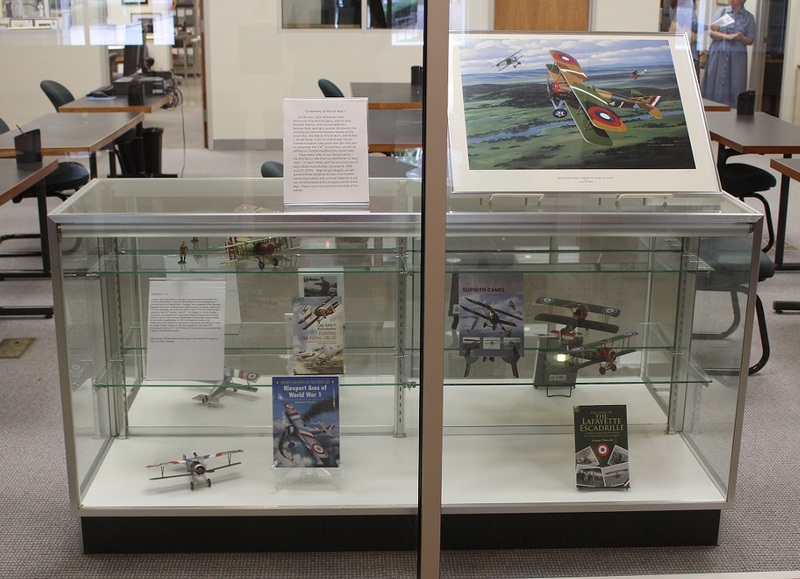 Second, from 1 November 2014 to 31 January 2015 we will show models of British, French and German artillery, the Red Baron’s ACE01 Fokker DR1, Eddie Rickenbacker’s Sopwith Camel, as well as other planes, tanks and armored cars paired with archival memories of the time. Last, from 1 February – 30 April 2015 we will show a map of Europe after the War, British and German foot soldiers, a regimental aid post where care was provided to the wounded, women in the war, T. E. Lawrence and the Arab Revolt, along with poems and depictions of uniforms. 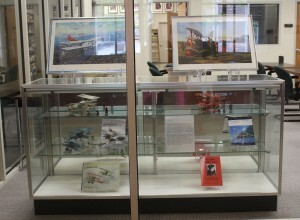 Please come to enjoy the evolution of our exhibit.